This, my friends, is why we moved from an apartment that was close to where my husband works to a country house that is really, really, not close to where my husband works. They make it worth it! Absolutely adorable!! 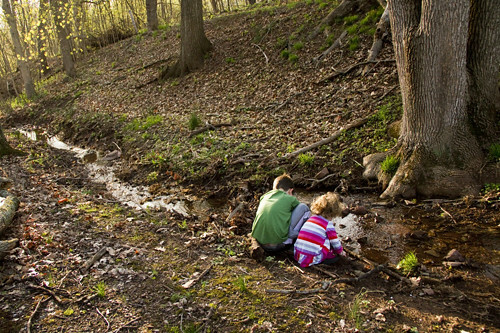 This photo really makes me remember the fun and endless wonderment of playing outside as a kid.